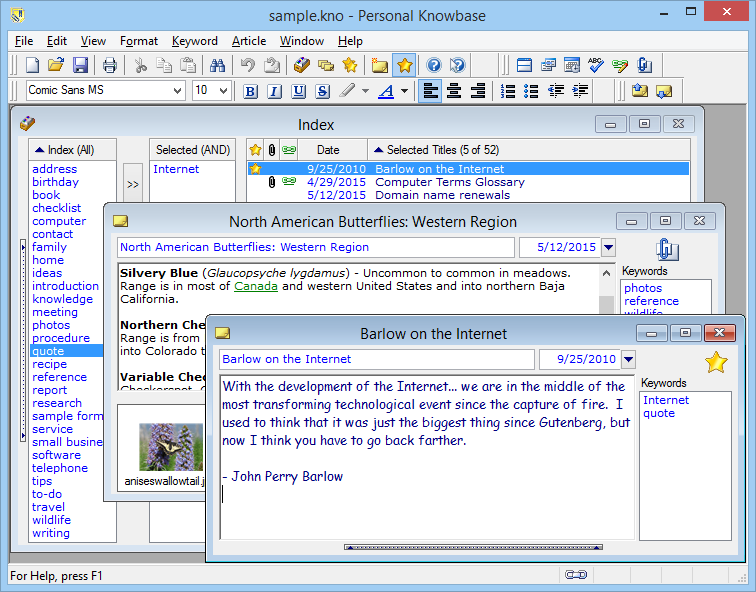 This example shows Personal Knowbase's Index Window in the back, with two Article Windows in the foreground. The Index Windows organizes your notes, which Personal Knowbase calls "articles". It lists your articles' titles and your keyword Index. The keyword Index is used for filtering the list of titles shown. You can view or edit an article by opening it in an Article Window. The main parts of the article are its title, date, content, and keywords.